‘ Pulse for pulse, breath for breath ‘ – Print from artist Sarah Jane Brown. High quality Limited Edition of 100. signed and numbered with a certificate of authenticity. 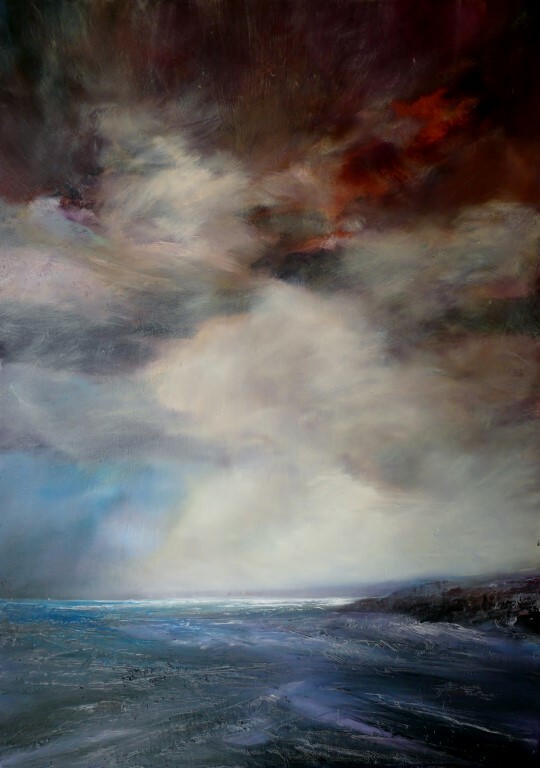 ‘ Pulse for pulse, breath for breath ‘ is an atmospheric depiction of the dramatic colours and stormy light often experienced on the Pembrokeshire Coast.